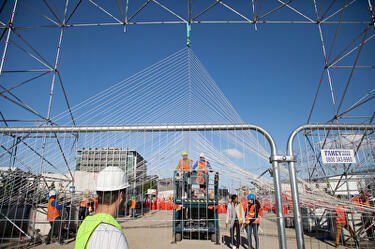 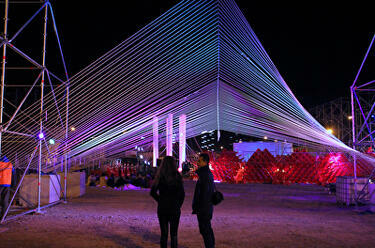 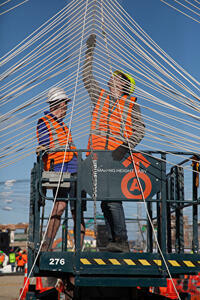 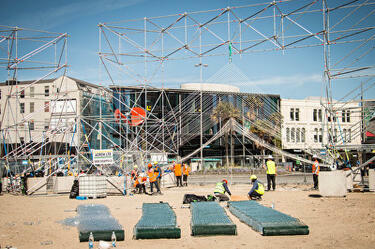 A photograph of a temporary structure, titled GlowCity, being installed for CityUps. 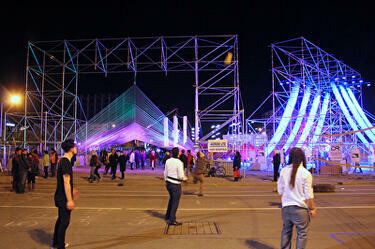 CityUps was a 'city of the future for one night only', and the main event of FESTA 2014. 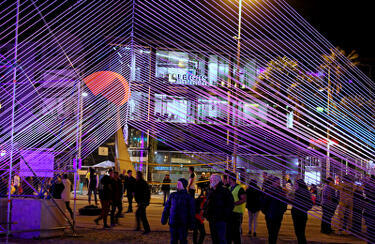 A photograph of a temporary installations titled GlowCity (left) and ING (right), which were created by students from Unitec. 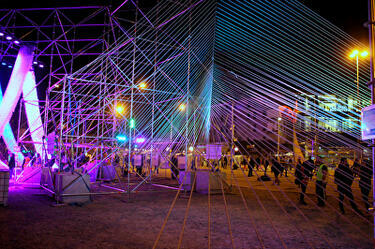 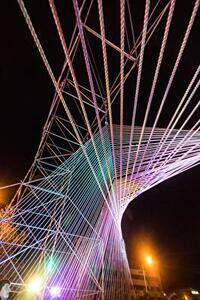 The installations were part of CityUps - a 'city of the future for one night only', and the main event of FESTA 2014.